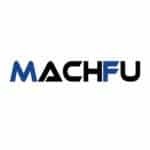 Machfu simplifies the complex landscape of Industrial IoT by easily connecting data at the edge to the cloud and legacy enterprise systems, for business analytics. Our products, the Machfu Platform and Gateway, bring edge to enterprise connectivity to existing industrial infrastructure that can be deployed and scaled quickly. Machfu presents a white paper about how to capture value from IIoT initiatives through legacy tech compatibility, interoperability, and cloud intelligence.